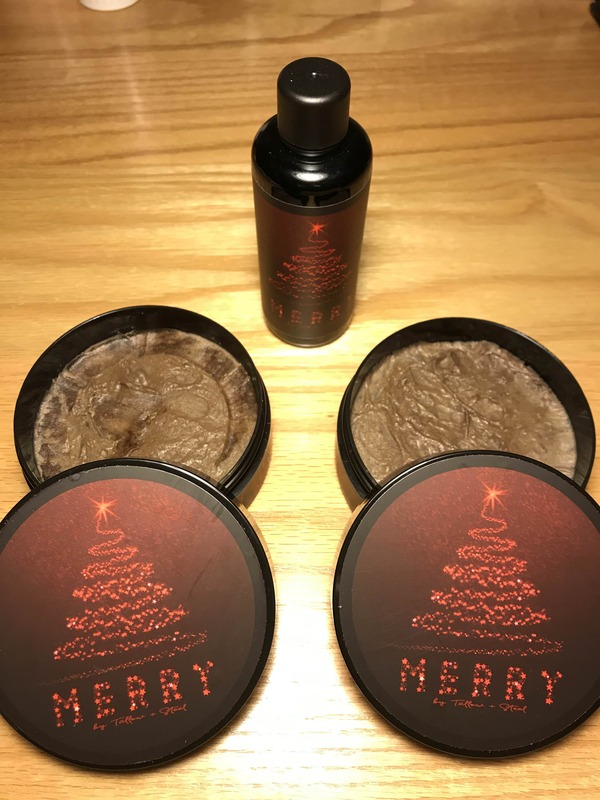 Offering tonight for $60 delivered CONUS a new set of T+S Merry and a once scooped T+S Merry soap. (Retail for the three items $70) The aftershave was opened but not used. Would also exchange the set of T+S for a new set (or a T+S soap for a soap) of the tallow/buffalo milk WK Italian Holiday.